Kate Morrison grew up in a farming community in far northern Ontario. She is reticent about her personal life, which frustrates the man in her life, Daniel Crane. Both are zoologists, and Kate can track her interest all the way back to the times she spent as a young girl watching insects and other wildlife in the ponds near her home with her older brother, Matt. Kate finds it difficult to discuss her family, mostly because of her estrangement from that beloved brother. Crow Lake relates the events that led up to that estrangement from the time her parents died. When Kate is seven, both her parents are killed in a tragic car accident. When their relatives plan to split up the four children, Luke, at 18 the oldest, decides to give up his scholarship to a teaching college to raise the two girls, Kate and Bo, aged one. He intends that Matt, the real intellect in the family, will go to the college the next year. This sacrifice on Luke’s part makes Matt angry. Still, the biggest struggle is that the family get by at all, despite the help of the neighbors. Although their father had a good income, he gave most of his money away to struggling family members. Aside from the troubles in the Morrison household, there are hints of tragic events at the neighboring Pye farm. These events will eventually affect the Morrisons in unexpected ways. A visit back to the family to celebrate the birthday of Matt’s son, Simon, sends Kate’s thoughts repeatedly back to the events of her seventh and eighth years. In some ways, she is forced to face facts that she’s been avoiding. 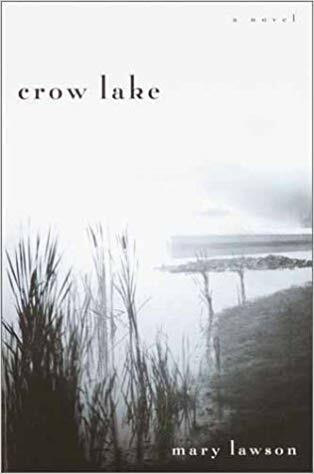 Crow Lake is truly the kind of book that creates a world for its readers to explore. 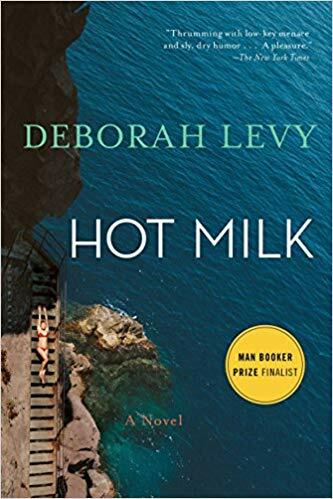 It is loaded with atmosphere and tension as Lawson explores the origins of family resentments and feelings pushed firmly below ground. This is a powerful book, completely absorbing. I was sorry for it to end. Sofia is an anthropology graduate student who has given up her job and her room in a storage cupboard to care for her mother, Rose, as she seeks medical help at a clinic in Spain. Rose has a myriad of symptoms, but no one has been able to diagnose a problem. Mostly, she is concerned about her legs. She can’t walk, at least when she doesn’t want to. She can’t feel anything, except when she does. She complains constantly, and nothing is ever right. Sofia is unhappy with her life—her unfinished dissertation, her job as a barrista, the cubbyhole she lives in, her subservience to her mother. Her father left them when she was five and despite being wealthy, seems to feel no responsibility for them, even in the days when they could barely afford to eat. He has made a religious conversion and now has a young wife and baby daughter. Sofia is dabbling in an affair with a German girl, Ingrid, from Berlin, but they seem to be at cross purposes. This novel is intelligent and sometimes almost hallucinogenic as it explores Sofia’s attempts to wake up and take responsibility for herself. At times, I found it a little confusing and its incidents unlikely but mostly I was engaged in Sofia’s journey. This is another book I read for my Man Booker Prize project. One Saturday morning, Izzy, the youngest Richardson child, sets fire to the house and leaves. As in her previous novel, Ng begins with the end of the novel to show how it comes to pass. We don’t really get to Izzy right away, however. We start with Mrs. Richardson and her duplex house in Shaker Heights. Although the family doesn’t need the rent from the duplex, Mrs. Richardson likes to think she is helping someone worthy by leasing the apartments to the right person. In this case, she rents one to Mia, an artist, and her daughter Pearl. Mia and Pearl have lived a wandering life, settling in a city as long as it takes Mia to finish a project and then moving on. Mia makes some money from her work and occasionally takes a part-time job to supplement their meager income. Upon arriving in Shaker Heights, however, Mia has unexpectedly announced that they can stay. She also reluctantly accepts a part-time job as a house cleaner and cook that Mrs. Richardson pushes on her. The plot gets moving around a situation that seemingly has little to do with either Mia or Mrs. Richardson. Mrs. Richardson’s friend Mrs. McCullough is close to adopting a little girl of Chinese heritage when the baby’s mother, who has been searching for her, sues for custody. When Mrs. Richardson figures out that it was Mia who told the mother who had the baby, she begins investigating Mia. It is her self-righteousness as well as her misunderstanding of some of the facts she gleans that mount up and provoke Izzy’s outburst. At first, I was a little impatient with this novel. 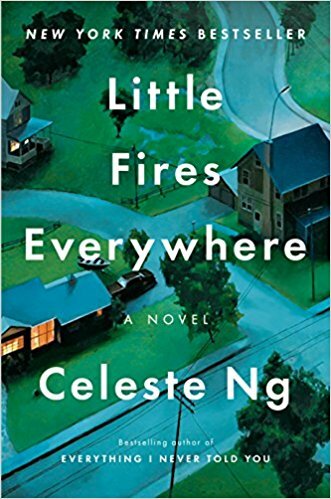 Ng certainly understands the adolescent psyche, but in many ways, this novel seemed too similar to her previous one, Everything I Never Told You. She knows how to tell a story, however, and she understands complexity in relationships, so ultimately I was swept up. It’s difficult to explain what Commonwealth is about without either telling too much or failing to make it sound interesting. 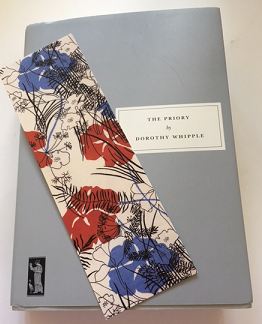 Yet, it is a very interesting novel about how one afternoon changes the lives of everyone in two families, or at least that’s partially what it’s about. The novel begins when Albert Cousins, an attorney from the district attorney’s office, crashes a christening for Fix and Beverly Keating’s youngest daughter. Fix only vaguely knows Bert Cousins from his work as a police officer. Bert has crashed the party in an effort to get away from his own household with his three children and pregnant wife, Teresa, as he does every weekend. But once Bert sets eyes on Beverly Keating, he decides she is his future. One kiss in the upstairs bedroom with a sleeping child begins an affair that results in divorce for both families. The novel concentrates on the effects of this divorce on both sets of children. Although Carolyn and Franny Keating beg year after year to stay in California with their dad, they are uprooted to Virginia to live with their mother when she and Bert move back to his home state. Bert demonstrates again and again that he doesn’t care to be around his own children, but he wins custody of them for the whole of each summer, while Teresa gets a job and keeps it together the rest of the year by the skin of her teeth. The result is that the kids grow up with virtually no supervision, especially in the summer, when Bert leaves everything to Beverly, who can’t cope. This novel reminded me in some ways of Jane Smiley’s Last Hundred Years trilogy, although it spans only about 45 or 50 years. However, it felt that the characters in this novel are much more knowable. I always enjoy Patchett’s writing, and her novels are all different from each other. I enjoyed this one very much. Enon is the second novel by Paul Harding and it follows the story of the same family as in his first novel, Tinkers. That novel was about George Crosby and his memories of his epileptic father. Enon is about George’s grandson, Charlie Crosby, and his life in the village of Enon. At the beginning of Enon, Charlie’s beloved 13-year-old daughter Kate is killed when her bicycle is hit by a car. Soon after, without much attempt to work anything out, Charlie’s wife Susan returns to her parents’ home and he never hears from her again. Charlie begins a downward spiral into grief, anger, and an addiction to pain killers. In some respects, Enon is a little more accessible than Tinkers. It is characterized by the same beautiful prose, especially in the descriptions of nature. Further, the setting in the old New England village with its sense of history is fully imagined. Yet, I wasn’t so interested in watching Charlie fall apart, nor did I enjoy his hallucinogenic dreams about Kate, where she turns to obsidian, for example. I’m starting to realize I don’t enjoy reading about dreams in fiction. I was also nonplussed by Charlie’s relationship to Susan. No wonder their marriage fell apart. Although they seem to be a happy family at the beginning of the novel, Susan is always somewhere folding clothes while Charlie and Kate go off on adventures. I was surprised when she left just a few days after Kate’s death, but it became clear she wasn’t important to her own family. So, if this subject matter attracts you, you might enjoy this book more than I did. Years ago I greatly enjoyed Robert Olen Butler’s A Good Scent from a Strange Mountain. This set of short stories about Vietnam and its aftermath was beautifully written. It’s 24 years later, and Butler is still thinking about Vietnam. His newest novel is about how a family and a homeless man are all affected in their own ways by the war. Robert Quinlan is a Vietnam veteran who at 70 is now a university history professor. All his life, he’s tried to please his father, and his military service was part of that effort. Despite his administrative position, he had to kill a man during the Tet offensive. He is still affected by the incident and has never spoken about it at home. Shortly before he shipped out, Robert’s younger brother Jimmy fled to Canada as a draft dodger. Their father disowned him. Now their father has broken his hip, and their mother asks Robert to try to talk Jimmy into coming home. The homeless man Bob is also affected by Vietnam because his father was a veteran. Growing up with his father’s PTSD has affected his mental health. I read more than half of this novel, but I grew increasingly impatient with it. The novel is closely observed but maybe too closely. All of the characters seemed to be obsessively evaluating each other’s every little action. It moves excruciatingly slowly. I felt like this novel was bogged down in detail. So, I didn’t finish it, even though the writing was beautiful.